Watch the video; these things look fun. The MiniDrone is all the fun of a drone in a design that won’t destroy the inside of your home (well, maybe a little), while the Jumping Sumo is like a modern remote controlled car that can actually leap several feet into the air. These should appeal to both kids and adults. I’ve got my eye on the MiniDrone mostly, which can be attached to a set of large wheels to roll on the floor, wall or ceiling. 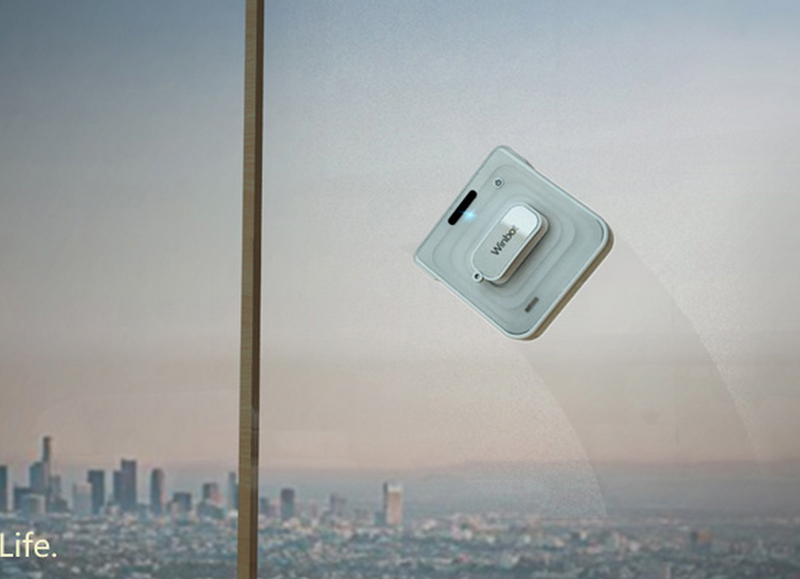 The WinBot seemed to win the most media attention this week, as it tackles a universally hated task: window cleaning. It’s a Roomba for your windows. It adheres via an internal vacuum and has a backup system to prevent it from falling. It looks like it takes more work to keep up than a Roomba, but for people with large or tall windows, this could be a nice tool. What else do people hate cleaning? Grills. Enter Grillbot. 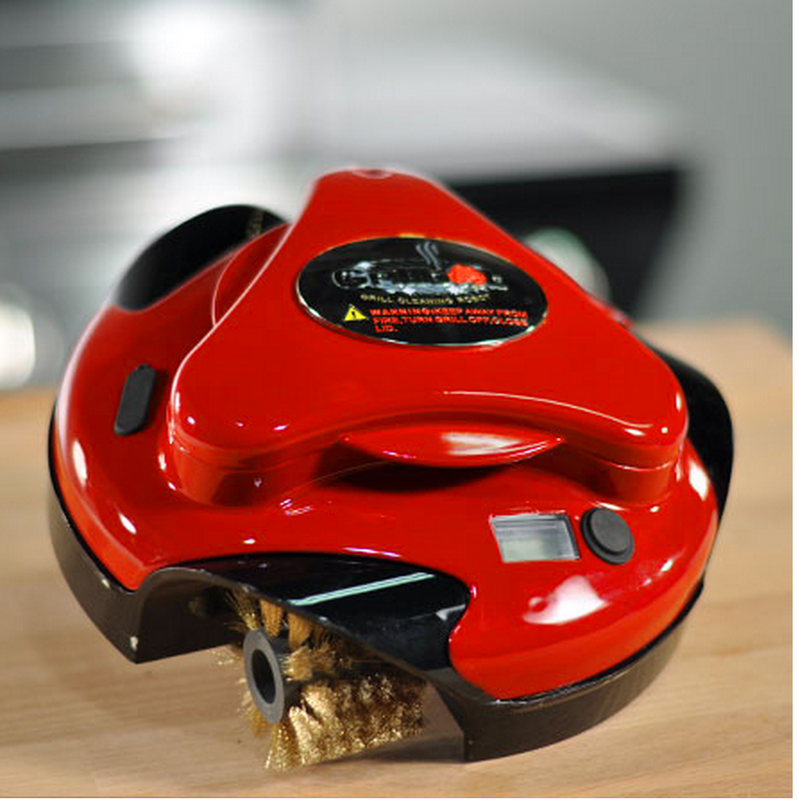 This little guy chugs along the surface of your grill cleaning it with a spinning brass or stainless steel brush. Unlike a Roomba, Grillbot isn’t smart enough to keep itself from falling off a ledge. So if your grill doesn’t have a lip, you’ll have to close the cover and let it do its work in peace. The FamiBot, which, like the WinBot, is made by EcoVacs, reminded me a little bit of Keecker. 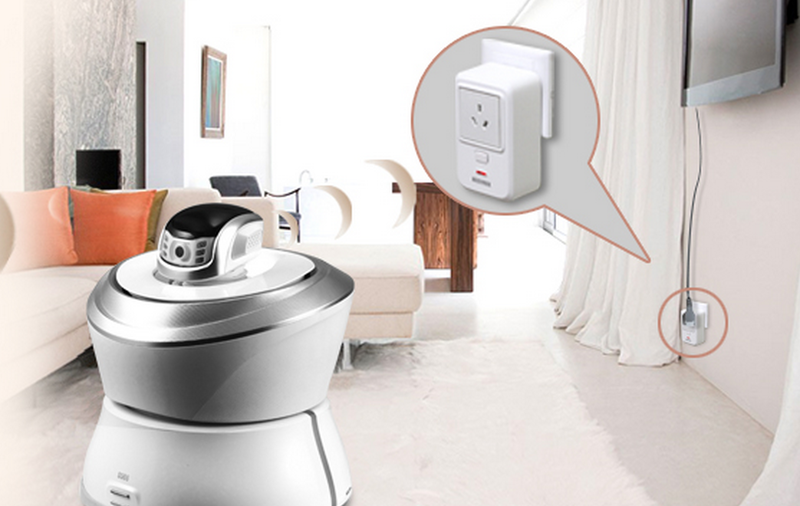 It’s a general-purpose bot meant to assist the entire family, whether that’s by playing music or monitoring the home for intruders. It has some unexpected features like the ability to detect smoke and purify air. It can also integrate with other electronics to turn them on or off. Overall, it seems a little unfocused. But, like Keecker, it will help define what it means to be a robot in the home. Crazy-eyed yet friendly-looking Budgee is working its way through what very well may be a doomed Kickstarter campaign, but that doesn’t mean he’s not an important bot. Basically a basket on wheels, Budgee is capable of toting up to 50 pounds, which is perfect for people who need help moving groceries or other objects. He can also autonomously follow anyone carrying a transmitter at a safe distance. Selling at $1,300 to $3,000 on Kickstarter, Budgee can be more affordable than a caretaker or mobility scooter. But it doesn’t solve problems like carrying goods up stairs or lifting them into a car, maybe limiting its appeal. WinBot might sell better if adapted for residential solar panels. Famibot is the best idea but seems like it needs to evolve a little bit more. The good part about it is that it isn’t focusing on bringing things or looking human. The way i thought something like this would come to market was first as a smart TV (by Apple maybe) and then once consumers get used to it it transitions to a self navigating little R2D2 like this.It could be the center of the smart home and has ample room to evolve in future generations. Nice blog. CES 2014 introduced a lot of awesome projects that gives us a glimpse of the near future. My favorite by far was the curved T.V.